September’s artist is part of the ACANSA Arts Festival and ticketing will be done on their site. We will make the ticketing site available on this page when it is live on the festival site. The touring version of the band includes Haden, Morgan and Royston. Always on the lookout for opportunities to “dig around for where I’m coming from,” Frisell’s recent project, the Grammy nominated GUITAR IN THE SPACE AGE!, is an homage to the inspirational popular music of his formative years made in the wake of “the birth of the Fender Telecaster guitar” – (1951, the same year as Frisell’s own birth) – that, he recalls, “got me super fired-up” about his instrument of choice. Frisell and his band mates explore material on the Okeh/Sony Masterworks release associated with The Beach Boys, Junior Wells, Pete Seeger, The Byrds, Duane Eddy, The Ventures, The Kinks, Chet Atkins, Link Wray, Speedy West & Jimmy Bryant, The Astronauts, Merle Travis, Johnny Smith and others, as well as original material by Frisell. 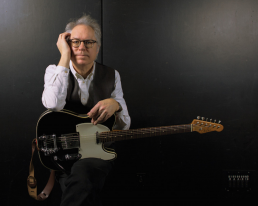 “Frisell has had a lot of practice putting high concept into a humble package. Long hailed as one of the most distinctive and original improvising guitarists of our time, he has also earned a reputation for teasing out thematic connections with his music… He has drawn recent, long-form inspiration from the rural portrait photography of Mike Disfarmer and the Great Mississippi Flood of 1927… There’s a reason that Jazz at Lincoln Center had him program a series called Roots of Americana for its coming season.” Nate Chinen – New York Times Frisell’s Nonesuch output spans a wide range of musical expression, from original Buster Keaton film scores, to arrangements for extended ensembles with horns and strings (Blues Dream, History, Mystery, Unspeakable); collaborations with bassist Viktor Krauss and drummer Jim Keltner (Gone, Just Like a Train, Good Dog, Happy Man); an album with Nashville musicians (Nashville), a solo album (Ghost Town)), a collection of traditional American folk songs and originals inspired by them (The Willies), and two trio albums with jazz legends – Dave Holland/Elvin Jones and Ron Carter/Paul Motian. The Intercontinentals blends Frisell’s brand of American roots music with Brazilian, Greek, and Malian influences. Disfarmer was inspired by the work of the mid-century rural Arkansas photographer Mike Disfarmer. Recognized as one of America’s 21 most vital and productive performing artists, Frisell was named an inaugural Doris Duke Artist in 2012. He is also a recipient of grants from United States Artists, and Meet the Composer, among others. Upon San Francisco Jazz opening their doors, he served as one of their Resident Artistic Directors. Most recently, Frisell was commissioned to compose and perform a new composition in San Francisco by the Freshgrass Festival.